I went straight back to Marc Jacobs Daisy (from £54), to see if it could win me over. I still found it somewhat one-dimensional, whereas I like something that really adapts to create something special on my skin. However there must be a reason why I can just give this one the elbow, so I plan to get my hands on a sample. Another scent I ended up testing was Chloé Eau de Parfum (from £47). Back in the autumn, I got a bit spritz happy in store with this, and it ended up lingering on my coat and scarf for weeks, making me feel a bit sick. I used to love the scent, and fully intended on purchasing it, so I am trying to ease back into it. I enjoyed its heady rose notes this time around, so I have ordered a sample from eBay. I am really tempted to blind buy Lovely (RRP from £35) by Sarah Jessica Parker, after reading reviews on Fragrantica. I need something for an everyday spritz, and this sounds warm and comforting, with lavender and musk. 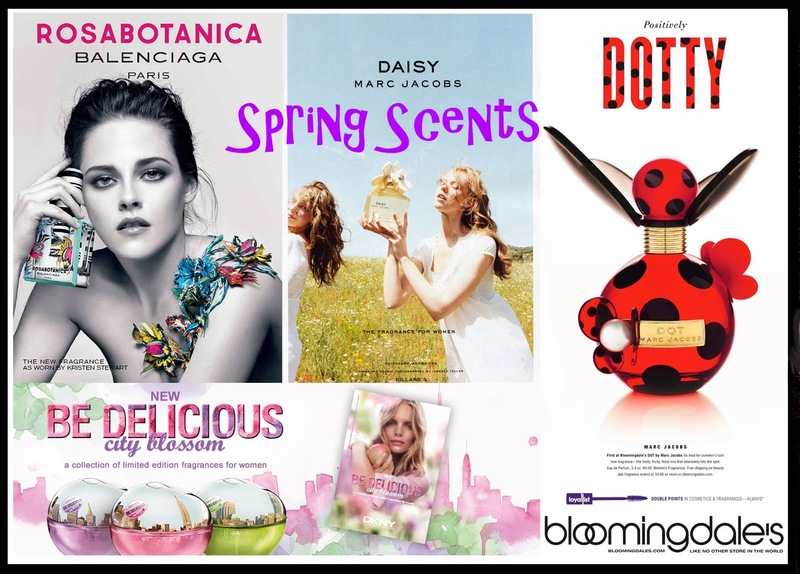 What scents are you loving right now?